Achieve compliance with all your trading partners’ EDI document requirements through a single point of integration within days. Automation is fully embedded within Acumatica to provide a streamlined user experience and interface that is easy to use and maximizes productivity. Full-service, 24/7 team provides proactive management of new, changing and complex trading partner requirements so you can easily adapt to your trading partners needs. Our reliable and scalable world-class data center can easily handle spikes in order volume, especially during the busy holiday season. When those in your trading partner network are already connected to your EDI solution, integration with your Acumatica ERP system becomes especially beneficial. Over 80,000 business in more than 60 countries around the world count on SPS Commerce to keep their companies’ transaction needs running smoothly. With thousands of organizations in our retail network, SPS is very likely already connected to many of your existing trading partners and others that you aspire to connect with. When you integrate your Acumatica ERP system to the SPS EDI solution, quickly achieve compliance with all of your trading partners’ documentation processing needs, including ship-to-distribution center, ship-to-store, drop shipping and more. When your trading partners’ specs change, SPS makes the adjustments for ongoing compliance. With our Acumatica integrated EDI solution, discover new trading partners, onboard them quickly and and better prepare to scale for your business’s future growth. 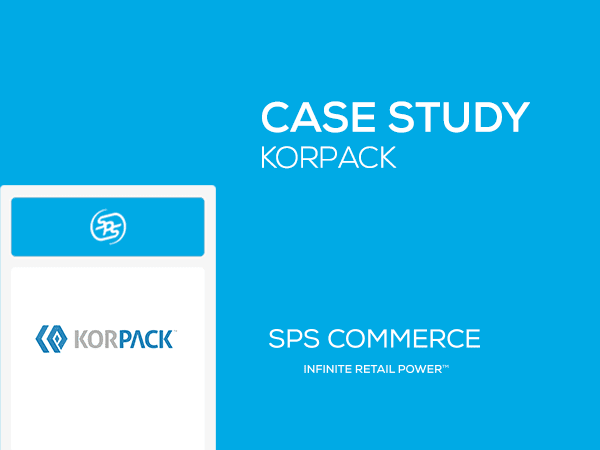 A one-time integration with SPS Commerce offers immediate access to thousands of pre-built connections to leading retailers, grocers, distributors, vendors, brands, 3PLs and more. An annual subscription rate for integrated EDI service through SPS Commerce costs typically significantly less than the expense of a traditional in-house EDI department. Many businesses that have outsourced their EDI to SPS have experienced savings of 20 to 30 percent. At least one major apparel retailer cut EDI-related costs by 75 percent by switching to SPS Commerce. Download our one-pager for additional information on SPS Commerce Integrated EDI for Acumatica powered by Mapadoc.